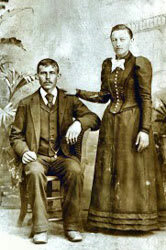 THE HISTORY OF PECARD LEATHER CO.
Pecard Chemical Co., Inc., started out and has been a small family-owned company in northeastern Wisconsin since 1902! Since then, Pecard has become the most trusted name for the treatment, preservation and weatherproofing of leather. Why? Because our Leather Care Dressings have been tested, proven and perfected from the very beginning and our continued dedication to craftsmanship and quality has ALWAYS set Pecard apart from the rest. More than 100 years ago in Lena, WI, Phil Pecard began to experiment with various formulas to protect, restore and seal leather gear. 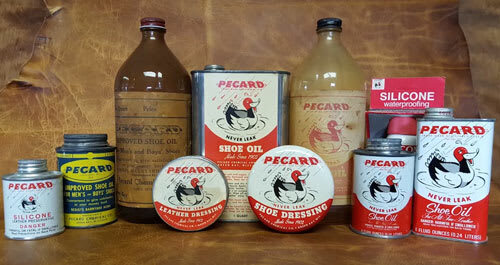 Pecard’s original leather dressings and oils were not created out of vanity, but rather NECESSITY. The lumbermen of the Wisconsin north woods needed to protect their investment; they needed their expensive leather boots to last and to stay dry in the cold, wet and often harsh environment of Wisconsin’s Northwood. That is why Phil Pecard created a product that held the promise, “NEVER LEAK”. Pecard’s commitment to quality earned his products an amazing reputation. 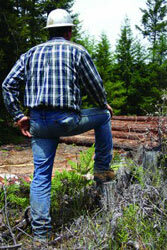 Lumbermen swore by it. Factory workers endorsed it. Hunters wouldn’t walk the woods without it. 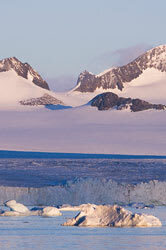 In fact, Admiral Richard E. Byrd specifically chose PECARD LEATHER DRESSING to protect his crew and their gear on the first expedition to the South Pole! 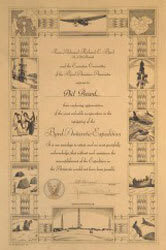 Pecard Leather Dressing was also the only leather care product chosen by the crew of “Operation Deepfreeze”, a series of explorations across the Arctic Circle. Proven time and time again under even the most brutal conditions, Pecard quickly became known as a product you could count on. The success paid off, as shortly after WWII, Phil Pecard built a small and sturdy factory in the Green Bay area, and eventually sold the business to a young family man, Arthur Wadzinski. Over the next 20 years, the business expanded and transformed to keep up with the growing demand. Product formulas were refined, patented and legally protected. New formulas were developed with the help of business partners to address the varying needs of leather tanned by different processes. Then came the trademarked classic, distinctive redheaded “NEVER LEAK” DUCK LOGO. In 1964 the company was incorporated to continue the expansion. A new and much larger manufacturing plant was built in 1975 and what started as a one-man, tri-state operation had grown into a full service facility. In the late 1980’s Arthur collaborated with his son Steven to further refine the product lines, update logos and develop new markets both company directed and private labeled. 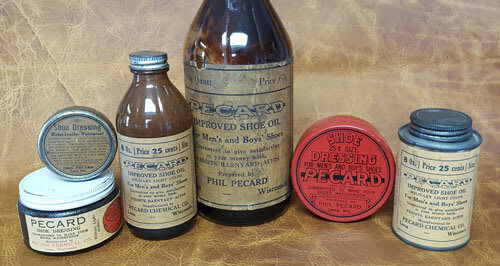 Still family owned and operated, in Green Bay, WI, Pecard Chemical Co., Inc. continues to honor the authentic craftsmanship and high quality tradition of Founder Phil Pecard, manufacturing and distributing high quality leather care products around the world! 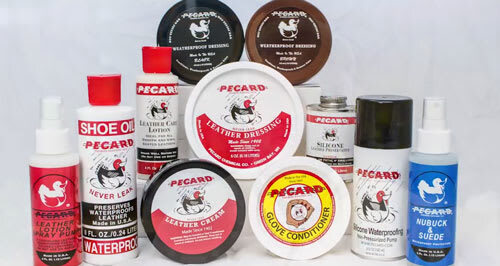 This has lead to Pecard Leather Care products being the superior choice to represent the brand name of many nationally and internationally based companies that sell leather goods; wanting to offer their customers a high quality line of leather care products to protect their purchase of leather goods. COPYRIGHT 2016 PECARD LEATHER CARE CO.